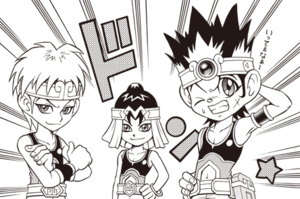 Team Fire Stars is a Dueling Team in Yu-Gi-Oh! D Team ZEXAL. They face Yuma Tsukumo and the Team ZEXAL in the Team Duel Tournament. This page was last edited on 16 March 2014, at 14:50.